(MoneyWatch) Standard and Poor's downgraded the credit ratings of Spain's 11 largest banks Monday as efforts to rescue the financial institutions seemed to go nowhere. Economists expect the banks will need at least another $132 billion this year if they are to stave off bankruptcy. Despite this, the head of one the nation's largest banks insisted there is no problem. The ratings cut came because the unemployment rate - 25 percent - will lead to even more people defaulting on their mortgages. 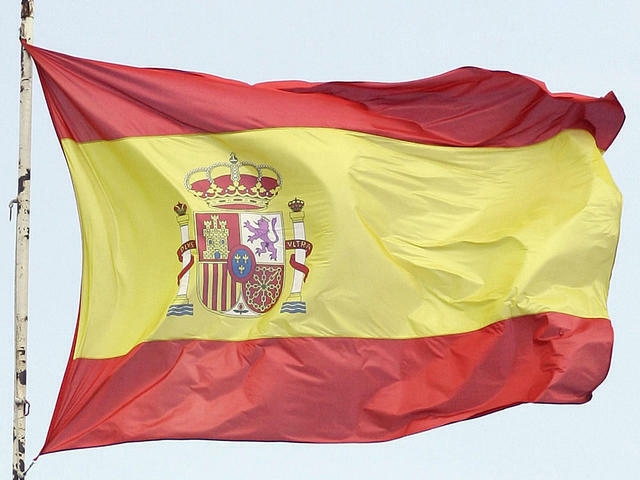 Even before unemployment skyrocketed last year, Spain's banks were reeling from a collapse in property prices which cut home values by more than 60 percent in some areas. The government is considering whether to create a holding company for the banks' toxic real estate assets. Under this plan the government would buy the banks' bad loans and create an agency with the responsibility for pursuing those who had defaulted on their loans. A similar plan was implemented in Ireland two years ago. This may be a case of swapping deck chairs on the Titanic. The banks would effectively be swapping very bad loans for Spanish bonds, an increasingly risky investment. This assumes Spain would be able to raise money for this in the first place. Spanish Prime Minister Mariano Rajoy has repeatedly said the banks would not need an EU-funded bailout, but it is difficult to see where else the money would come from. Last week an IMF report said that even after government actions like forced mergers, some of Spain's savings banks were still a threat to the nation's financial stability. Earlier this year the prime minister ordered the banks to set aside $70 billion to cover bad loans. The $132 billion economists believe is needed is in addition to that. Banco Santander, the country's largest lender, is one of the banks that had its ratings cut today. This was just four days after announcing a 24 percent drop over the first quarter of 2012. Both were due to the huge amount of non-performing mortgages the bank has. However on Saturday, CEO Alfredo Saenz said the bank was fine. "Mortgages get paid in good times and in bad," he said. "Anyone raising this problem as one of the issues for the Spanish financial system is saying something stupid."